Emergency Room is a format for artists burning with desire to engage in the necessary debates. Emergency Room is an exhibition space where artists rank and express about emergencies today, today the present day, today before it is too late. Artists are thermometers for dysfunctions of society. They are experts in detecting immediatly or even , in advance of the broken arm. Artists spot at dysfunctions and are asked to have solutions . What they feel or know has to be exhibited now. But in order to exhibit, an artist has to wait months or years in order to negotiate with art institutions, find funding and collaborators. This limits the artist urging to respond to the contemporary and leaves the art work as delayed comments on yesterday’s world. Emergency Room is a format that permit immediate intervention as well as it stimulate immediate debate with the public and distribution channels. 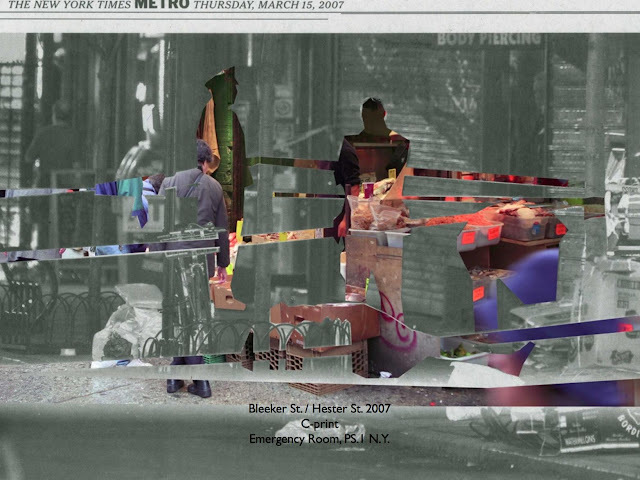 Through Emergency Room, artists can react every day and train collectively (as a group and with the public ) their awareness muscle .By being an exhibition alive commenting on burning events , Emergency Room creates a proximity to the public and to the distribution channels , and well exposing unreported dysfunctions and giving them attention . Everyday there will be new angles, follow up , alarming discoveries , and everyday there will be new reasons for audience and media to tune back in.